You can visit our website without revealing any personal information. However, Teddy's Ice Cream needs certain personal information if you wish to purchase our products, receive Teddy's Ice Cream’s newsletter, or use certain Teddy's Ice Cream services. Where required, this information may include your personal contact information and/or your company contact information. Teddy's Ice Cream will use this information to reply to your inquiries, to provide you with requested products and services, to set up your member’s account, and to contact you regarding new products and services. Teddy's Ice Cream automatically receives and records non-personal information on our server logs from your browser including your IP address, cookie information and the page you requested. Teddys Ice Cream may use this information to customize the advertising and content you see and to fulfil your requests for certain products and services. However, Teddys Ice Cream does not connect this non-personal data to any personal information collected from you. If you do not consent to the collection, use or disclosure of your personal information as outlined in this policy, please do not provide any personal information to Teddy's Ice Cream. 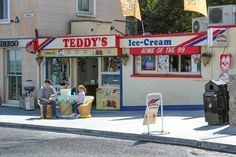 If you have provided personal information to Teddy's Ice Cream and no longer consent to its use or disclosure as outlined herein, please notify Teddy's Ice Cream at info@teddys.ie. Unfortunately, no data transmission over the Internet can be considered 100% secure. However, your Teddy's Ice Cream Information protected for your privacy and security. In certain areas of our websites, as identified on the site, Teddys Ice Cream uses industry-standard SSL-encryption to protect data transmissions. We also safeguard your personal information from unauthorized access, through access control procedures, network firewalls and physical security measures.Furthermore, Teddy's Ice Cream retains your personal information only as long as necessary to fulfil the purposes identified above or as required by law. 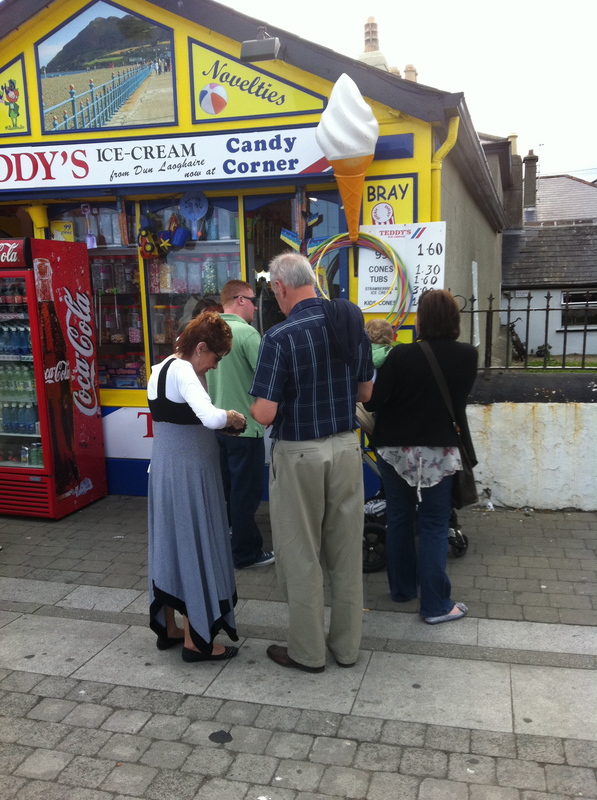 Teddys Ice Cream may at any time, without notice to you and in its sole discretion, amend this policy from time to time. Please review this policy periodically. Your continued use of Teddys Ice Cream’s website after any such amendments signifies your acceptance thereof. Teddy's Ice Cream Store are committed to ensuring the security and protection of the personal information that we process, and to provide a compliant and consistent approach to data protection. We have always had a robust and effective data protection program in place which complies with existing law and abides by the data protection principles. However, we recognise our obligations in updating and expanding this program to meet the demands of the GDPR and Ireland’s’s Data Protection Bill. 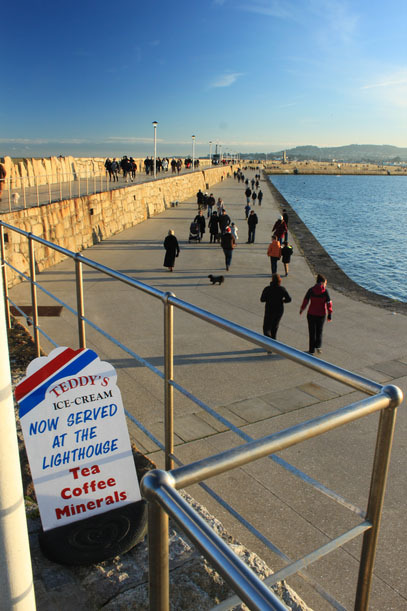 Teddy's Ice Cream Store are dedicated to safeguarding the personal information under our remit and in developing a data protection regime that is effective, fit for purpose and demonstrates an understanding of, and appreciation for the new Regulation. Our preparation and objectives for GDPR compliance have been summarised in this statement and include the development and implementation of new data protection roles, policies, procedures, controls and measures to ensure maximum and ongoing compliance. •	Information Audit – carrying out a company-wide information audit to identify and assess what personal information we hold, where it comes from, how and why it is processed and if and to whom it is disclosed. ◦	Data Protection – our main policy and procedure document for data protection has been overhauled to meet the standards and requirements of the GDPR. Accountability and governance measures are in place to ensure that we understand and adequately disseminate and evidence our obligations and responsibilities; with a dedicated focus on privacy by design and the rights of individuals. ◦	Data Retention & Erasure – we have updated our retention policy and schedule to ensure that we meet the ‘data minimisation’ and ‘storage limitation’ ,principles and that personal information is stored, archived and destroyed compliantly and ethically. We have dedicated erasure procedures in place to meet the new ‘Right to Erasure’ obligation and are aware of when this and other data subject’s rights apply; along with any exemptions, response timeframes and notification responsibilities. ◦	Data Breaches – our breach procedures ensure that we have safeguards and measures in place to identify, assess, investigate and report any personal data breach at the earliest possible time. Our procedures are robust and have been disseminated to all employees, making them aware of the reporting lines and steps to follow. ◦	International Data Transfers & Third-Party Disclosures – where Teddy's Ice Cream Store stores or transfers personal information outside the EU, we have robust procedures and safeguarding measures in place to secure, encrypt and maintain the integrity of the data. Our procedures include a continual review of the countries with sufficient adequacy decisions, as well as provisions for binding corporate rules; standard data protection clauses or approved codes of conduct for those countries without. We carry out strict due diligence checks with all recipients of personal data to assess and verify that they have appropriate safeguards in place to protect the information, ensure enforceable data subject rights and have effective legal remedies for data subjects where applicable. ◦	Subject Access Request (SAR) – we have revised our SAR procedures to accommodate the revised 30-day timeframe for providing the requested information and for making this provision free of charge. Our new procedures detail how to verify the data subject, what steps to take for processing an access request, what exemptions apply and a suite of response templates to ensure that communications with data subjects are compliant, consistent and adequate. •	Legal Basis for Processing – we are reviewing all processing activities to identify the legal basis for processing and ensuring that each basis is appropriate for the activity it relates to. Where applicable, we also maintain records of our processing activities, ensuring that our obligations under Article 30 of the GDPR and Schedule 1 of the Data Protection Bill are met. •	Privacy Notice/Policy – we [have revised/are revising] our Privacy Notice(s) to comply with the GDPR, ensuring that all individuals whose personal information we process have been informed of why we need it, how it is used, what their rights are, who the information is disclosed to and what safeguarding measures are in place to protect their information. •	Obtaining Consent – we are revising our consent mechanisms for obtaining personal data, ensuring that individuals understand what they are providing, why and how we use it and giving clear, defined ways to consent to us processing their information. We have developed stringent processes for recording consent, making sure that we can evidence an affirmative opt-in, along with time and date records; and an easy to see and access way to withdraw consent at any time. •	Direct Marketing – we are revising the wording and processes for direct marketing, including clear opt-in mechanisms for marketing subscriptions; a clear notice and method for opting out and providing unsubscribe features on all subsequent marketing materials. •	Processor Agreements – where we use any third-party to process personal information on our behalf (e. Payroll, Recruitment, Hosting etc), we have drafted compliant Processor Agreements and due diligence procedures for ensuring that they (as well as we), meet and understand their/our GDPR obligations. These measures include initial and ongoing reviews of the service provided, the necessity of the processing activity, the technical and organisational measures in place and compliance with the GDPR. •	Special Categories Data – where we obtain and process any special category information, we do so in complete compliance with the Article 9 requirements and have high-level encryptions and protections on all such data. Special category data is only processed where necessary and is only processed where we have first identified the appropriate Article 9(2) basis or the Data Protection Bill Schedule 1 condition. Where we rely on consent for processing, this is explicit and is verified by a signature, with the right to modify or remove consent being clearly signposted. Teddy's Ice Cream Store takes the privacy and security of individuals and their personal information very seriously and take every reasonable measure and precaution to protect and secure the personal data that we process. We have robust information security policies and procedures in place to protect personal information from unauthorised access, alteration, disclosure or destruction and have several layers of security measures, including: – currently implementing a 256BT SSL cert to be installed on all of our pages. Teddy's Ice Cream Store have designated Yasmin Hamid Khan as our Data Protection Officer (DPO)/Appointed Person and have appointed a data privacy team to develop and implement our roadmap for complying with the new data protection Regulation. The team are responsible for promoting awareness of the GDPR across the organisation, assessing our GDPR readiness, identifying any gap areas and implementing the new policies, procedures and measures. Teddy's Ice Cream Store understands that continuous employee awareness and understanding is vital to the continued compliance of the GDPR and have involved our employees in our preparation plans. We have implemented an employee training program specific to the which will be provided to all employees prior to May 25th, 2018, and forms part of our induction and annual training program.